All that you have to do is attach the device to a person in cardiac arrest. Once the defibrillation pads are attached to the patient, the device detects the person's heart rhythm, analyzes the rhythm using the patented RHYTHMx® software, and if a life-threatening rhythm is detected, instructs the user to stand clear and automatically delivers a defibrillation shock. With the Powerheart AED G3-Automatic, Cardiac Science offers the latest advancements in automated external defibrillation technology. Lift the lid and attach the defibrillation pads. 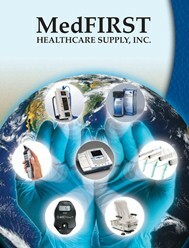 Automatically detects, analyzes, and delivers life-saving defibrillation shock(s) to a cardiac arrest victim. Patented RescueReady technology includes daily, weekly, and monthly self-tests of Intellisense lithium battery, internal electronics, software, and defibrillation pads, which assures first time, every time shock delivery. The new Powerheart AED G3-Automatic incorporates the Company's patented RHYTHMx™ analysis software and STAR® biphasic defibrillation energy waveform. 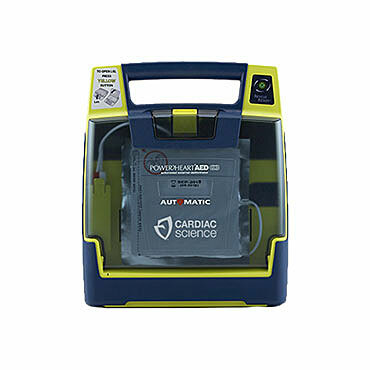 The easy-to-use features of the Powerheart AED G3-Automatic allow virtually anyone to defibrillate cardiac arrest victims quickly and effectively, dramatically improving the chances of survival from a cardiac arrest. Opening the lid of the Powerheart AED G3 turns the AED on and readies it for use. No shock button to push. Automatically detects, analyzes, and delivers life-saving defibrillation shock(s) to a cardiac arrest victim. Patented RescueReady® technology performs daily self-tests (battery, electronic systems and defibrillation pads. Configurable STAR® biphasic energy protocols. Industry's first four year full replacement battery warranty.